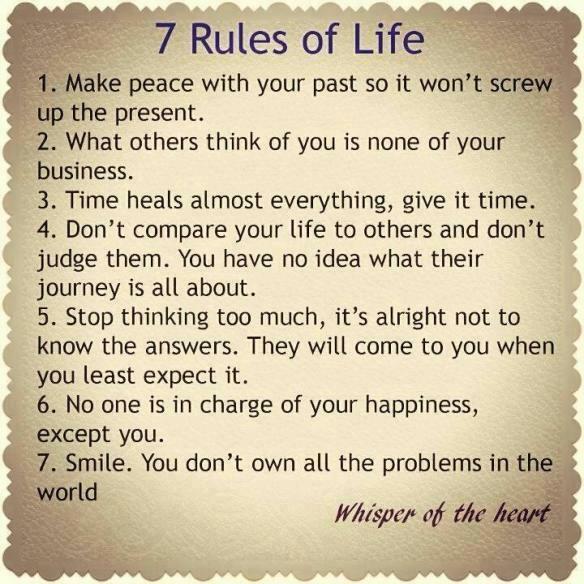 These 7 Rules of Life are very profound. Do you live your life by all of them? ...any of them? Do NOT compare your life with others’, you have NO idea what their journey is all about. If we all threw our problems in a pile and saw everyone else’s, we would grab ours back as fast as we could. Smile, you do NOT own all the problems in the world. A smile can brighten the darkest day and make life more beautiful. It is a potential curve to turn a life around and set everything straight.